The Beckies, featuring the talented Michael Brown, are one of the great lost bands of the 1970s era. Pursuing a power-pop direction not dissimilar to Badfinger or the Raspberries, the band released one self-titled album for Sire Records in 1976 and then all but disappeared. 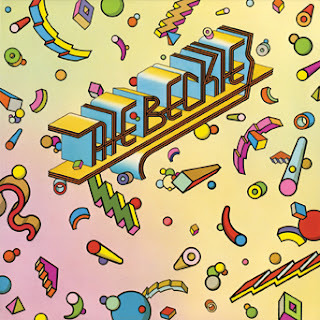 During the ensuing years, the Beckies album has become a sort of holy grail for power-pop collectors; to my knowledge, it has never been released on CD, and a vinyl copy of the album in good condition will set you back at least $25 on eBay. On October 9th, 2015 Real Gone Music will make power-pop fanatics’ dreams come true with a long-anticipated CD reissue of the sole Beckies LP. Although the label sadly didn’t include any bonus tracks on this reissue (rumors abound of a wealth of Beckies music hidden away somewhere), the Real Gone set does include extensive liner notes by the knowledgeable music historian Jeremy Cargill as well as song lyrics. Brown’s final stop was with the Beckies, and the band’s album was the last to feature Brown’s musical and songwriting skills. Brown co-produced the Beckies album, co-wrote all of the songs with drummer Gary Hodgden, and played keyboards on the recording. Although the album offered plenty of Brown’s trademark fusion of classical and rock ‘n’ roll in its energetic power-pop sound, it was released at least a half-decade before its time. Disco ruled the clubs and the charts in ’76, while hard-rock dominated the arenas and hockey sheds, leaving little room for smart, snappy, hook-laden music. With The Beckies LP receiving its long-overdue reissuing on compact disc, power-pop fans young and old have something to sing about! No bonus trax...really lame, as several exist. No mention of Gary Hodgden's great power pop/rock work both pre, and post, Beckies is really a shame as well. Unable to support this reisuue. I agree. No bonus cuts, no purchase.